If you’ve never thought about joining the trucking industry, now might be a good time to start. ​​Trucking, like any other profession, is not without its flaws, but can provide a ton of opportunities depending on your drive and focus. There are a lot of companies out there that will even train drivers from the ground up, instilling them with the skills they need to succeed in this industry. As a truck driver, you have the potential to see more, experience more, and do more. Still not convinced? Here are five great reasons why you might want to get behind the wheel. ​One thing you hear about being a truck driver is all the great scenery you encounter along your travels. This is especially true for OTR drivers, who are sometimes away from home for up to two weeks at a time. Sometimes, you might be passing through a bustling city, others it might just be you and your truck. Mountains, rivers, ocean views, city-scapes; as a truck driver, you’ve got the potential to visit them all. ​You can make a lot more starting out as a driver than you can with most other jobs. There are a number of companies like Swift and CRST that will train you from the ground up and help you get your CDL. After that, there are several ways you can increase your income whether you decide to become a company driver, team driver, owner operator, or choose to take up a specialized truck driving position like flatbed or HazMat driving. The fact remains, if you decide to become a driver, your annual salary just went up a notch. ​When you drive for a living, you have more freedom than with other jobs. You get to hold the reins, and you decide when to call it a day. It’s just you, your freight, and the open road calling you to your destination. As an owner operator, you are an independent contractor working for yourself, so you call the shots. You can decide what routes you want to take and see the places you want to see. It’s up to you to decide what will help you meet your goals and make the best living for yourself. ​The trucking industry is not without its benefits and perks. These differ from company to company but the main things you’ll want to see when looking to join up with a new company are health, dental, and vision insurance, paid vacation time, and flexible home time. There are also a number of companies out there that offer truck drivers numerous pay advantages for given situations. This includes pay for fuel surcharge costs and pay for extra stops and even inclement weather conditions. You can usually find what benefits a company offers on our website so you can get a good idea of what to expect if you should decide to join. 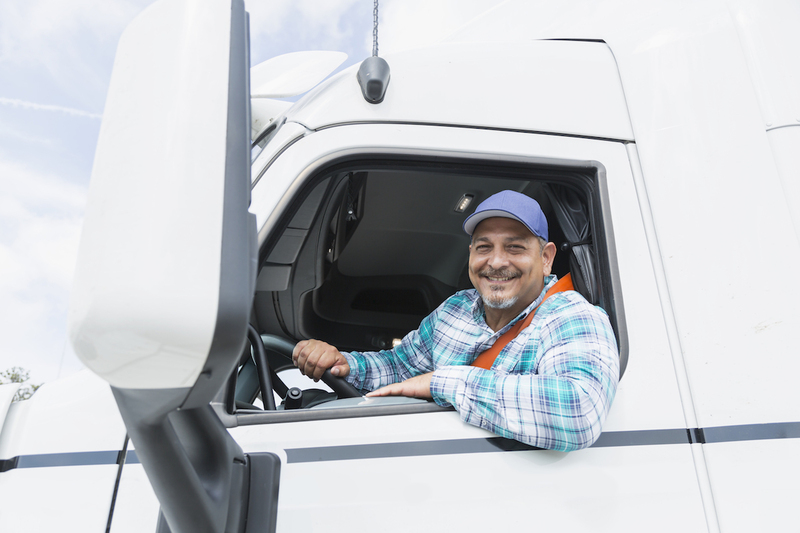 ​When you decide to become a truck driver and get your CDL, you’re not just getting a license, you’re getting a certification in the skilled use of a heavy machine and its operation. That’s a huge responsibility. If you’ve got it in your mind to drive flatbeds, refrigerated trucks, tankers, or other specialized vehicles, then you’re going to need even more training. These jobs can be tough and require a lot of skill and patience, but they pay very well. It’s all up to you. ​As you can see, there are plenty of good reasons to think about joining the trucking industry. The pay, benefits, and scenery are a huge draw for sure, but if you’re really looking for a rewarding and lengthy career, then trucking is a great option. ​If you’ve been convinced then you can visit truckdriverjobsinamerica.com. Take just two minutes to fill out a safe, simple, and secure application and we’ll send it to every trucking company in our network that matches your experience level and driving history. After that, it won’t be long and you’ll be driving. There’s no reason to wait. The time is now. Your future is already here. Take the wheel. Trucker’s Choice: Atlas or GPS? Accident Protocol: What’s Your SOP? © 2019 American Driver Network All Rights Reserved.